Boundaries—age, genre or otherwise—don’t hamper an artist like Sierra Hull. She’s already earned considerable respect in the bluegrass world, the International Bluegrass Music Association’s (IBMA) voting members having nominated her for no fewer than five awards over three years—there’s a good chance she’ll be the first woman to win the mandolin category. But as a player, a singer and a songwriter, she also has remarkable range, the potential to win over ears unfamiliar with Bill Monroe and give performances of broad cultural importance, as she’s done at Carnegie Hall, the Kennedy Center and the National Prayer Breakfast. Matt Glaser—head of Berklee’s American Roots Music Program—put it this way: “She has no limitations as a musician. Roni Stoneman is a noted bluegrass banjo player and former member of the Hee Haw gang having played the role of Ida Lee Nagger, the ironing, nagging wife of Laverne Nagger (Gordie Tapp). She is the youngest daughter of Ernest V. "Pop" Stoneman, patriarch of the Stoneman Family, one of the most famous family groups in early country music. Drawing on his Southern Appalachian heritage, Pop Stoneman realized as early as 1924 the commercial potential of traditional music, and carved a career from it. That year, he wrote country music’s first million seller, "The Sinking of the Titanic." The Stoneman Family won the Country Music Academy’s "Vocal Group of the Year Award" in 1967. After Pop’s death a year later, Roni Stoneman, known as a virtuoso banjo player in both country music and bluegrass, pursued a musical career on her own. In the 1970s, Roni reached a national audience when she joined the cast of Hee Haw, the most successful syndicated program and country music show in the history of television. She picked banjo and sang from time to time, but it was the character of Ida Lee Nagger that made her unforgettable to millions of viewers. Roni will be joined on stage at Song of the Mountains by her sister Donna Stoneman who has been called the “First Lady of Bluegrass Mandolin”. 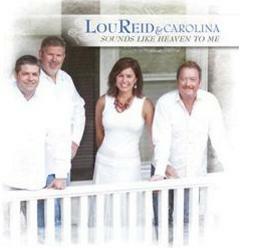 Lou Reid and Carolina are based out of Union Grove, North Carolina. The band began in 1992, with it's sound largely based in traditional bluegrass roots with emphasis on dynamic vocals. The current band is no exception. Lou Reid anchors the band with his lead vocals. Lou is arguably the most recognizable voice in bluegrass music. He began his career with his first professional job as bassist for Doyle Lawson and Quicksilver. After three albums with Quicksilver, he took a very prominent position with the Ricky Skaggs Band, playing many different instruments and providing back-up vocals. He played banjo on the first number one country hit that featured banjo..Skagg's "I'm Just a Country Boy". After working so many dates with Ricky, Lou decided to come off of the road to take the lead singer and guitarist position with The Seldom Scene. Working with John Duffey proved to be one of Lou's career highlights. John gave Lou insight into singing that Lou still calls upon today. After spending six years with the Scene, Lou went off to work in Nashville with some of the top traditional artists of the day, Vince Gill and Vern Gosdin. He also decided to start his own band with lifelong friend Terry Baucom. The result was Lou Reid, Terry Baucom and Carolina. After putting out two very successful albums, Carolina Blue and Carolina Moon, Terry left the band to pursue his own career. In 1996, John Duffey passed away suddenly, leaving the Seldom Scene without it's heart and soul. Ben Eldridge wanted to keep the Scene on the map, and bringing Lou Reid in to take John's place as mandolin player and tenor singer seemed the right thing to do. Lou has now been with the Seldom Scene for a combined total of 18 years. He has managed to not only keep his band Carolina current, but thriving. Lou is the consumate professional, a generous bandleader, and an all around entertainer. His vocal work on his latest album, Calling Me Back Home, is a testiment to the depth and feeling that have always been the underlying trademark of his music. From Sherrills Ford, North Carolina, the Cockman Family (four brothers, sister and dad) has performed their unique style of bluegrass gospel music for 24 years. It is a style that consists of tight family harmonies, fine musicianship, outstanding original songs and refreshing arrangements of traditional songs. Their music has been featured on numerous UNC-TV programs to include their own one hour Christmas Special, Maker of the Stars. Their performance venues include Dollywood, Opryland and Merlefest. Most recently, the Cockman Family was a showcase band at the International Bluegrass Music Association in Nashville. They are a North Carolina Arts Council Touring Artist Group, and recipient of the 2011 North Carolina Community Traditions Award. Song of the Mountains features bluegrass, old time, Celtic and Americana Music and is currently airing on over 190 Public Television outlets across the United States. Tim White hosts the series. Tickets for the Saturday, February 4th concert at the Lincoln Theatre in Marion, Virginia are $20. Reserved tickets may be purchased at the Lincoln Theatre Box Office in Marion, VA or online at www.SongOfTheMountains.org . The concert begins at 7:00 pm. For information or tickets by phone call 276-783-6093. Song of the Mountains is underwritten for public television by Alpha Natural Resources, Mountain States Health Alliance www.msha.com , Bryant Label Co. of Blountville, TN, TEDS, the General Francis Marion Hotel in Marion, VA, Blue Ridge Country 98.1 fm, The Bank of Marion and Emory & Henry College. Special support from Marion, and Smyth County, VA.
Memberships and Song of the Mountains merchandise are available at the website and your purchases help support the concert series. Song of the Mountains/The Lincoln Theatre is a non-profit organization.